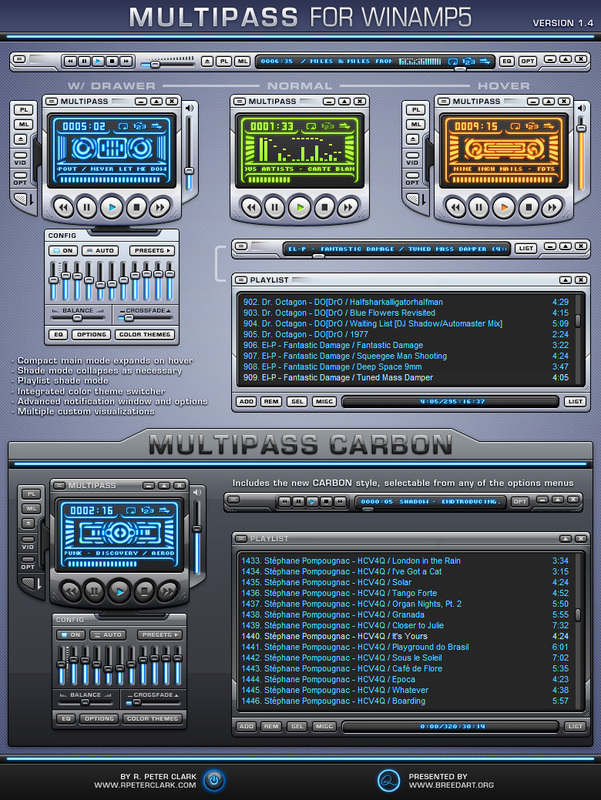 Quite simply the best Winamp skin in existance. I mean that. great skin there, then again, i don't think i've seen a bad rpeterclark skin yet. Amazing work. Graphics are top notch, coding seems to be flawless, layout is perfect. Wow! Yeah it should have been, But nevertheless 'IT' is now my Defualt Skin...WOW!!! Extremely nice! My new Winamp skin! I love the way it has combined some parts of the Default modern skin (buttons) with many new intresting and good-looking parts! Not only great design, but also extreamly well scripted! Perfect as always!! Very well done RPC! Very awesome. Love the graphics and functionality. Keep it up.